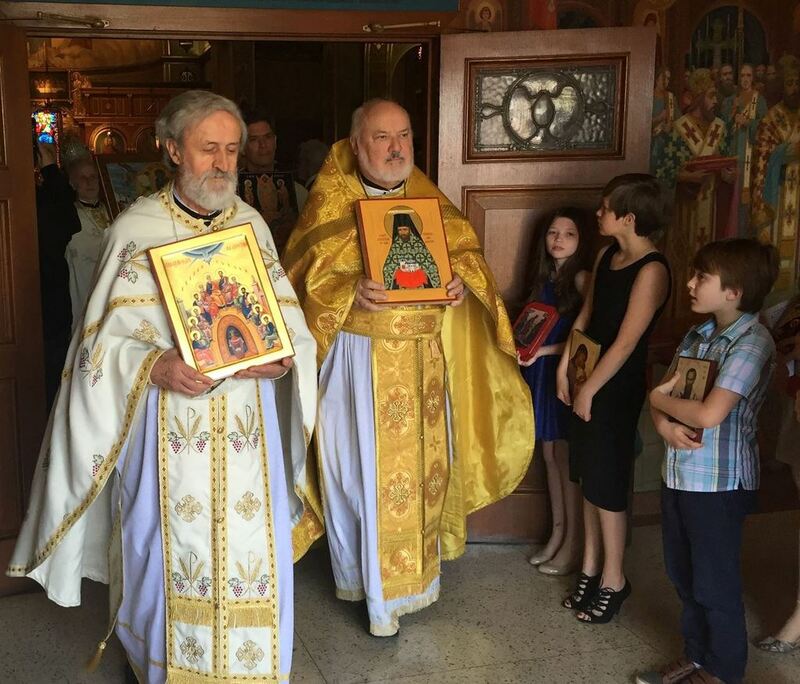 Alhambra, CA - Orthodox Christians from throughout Southern California gathered at the Saint Steven's Serbian Orthodox Cathedral in Alhambra, California, on Saturday and Sunday, March 19th & 20th, for the annual celebration of the great feast of Sunday of Orthodoxy. 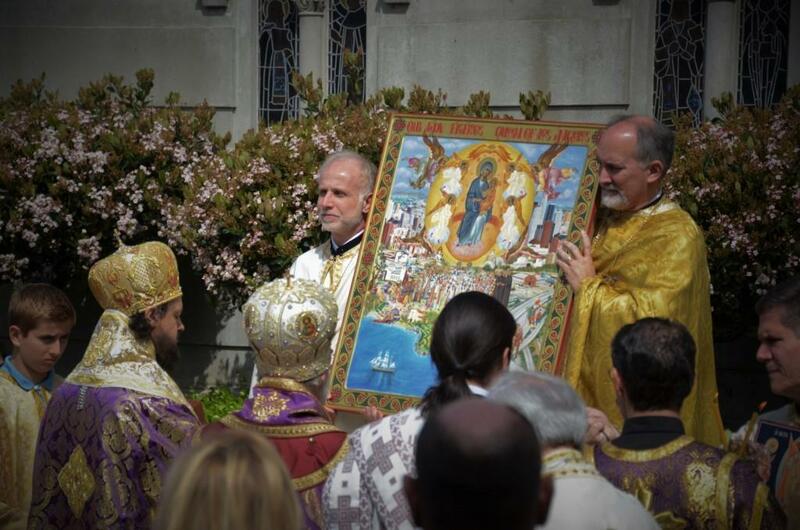 The two-day celebration was led by the Hierarchs of the Canonical Orthodox Bishops in the West Coast, His Eminence Archbishop Benjanmin of the Orthodox Church in America, and His Grace Bishop Maxim of the Western American Diocese of the Serbian Orthodox Church (host hierarch), together with clergy from various jurisdictions. The lenten festivities began on Saturday afternoon with a Youth Rally for children and teens in grades 5-12. The Vesper service with the procession of icons followed. A receiption and fellowship began shortly after with a special presentation by guest speaker Archpriest Antony Bahou. On Sunday morning the Orthros began at 9:00 a.m. followed by the Hierarchical Divine Liturgy with the procession of icons.The responses were sung by POYAC, The Pan-Orthodox Young Adult Choir. Following the service the faithful gathered in the hall for a lenten luncheon and a special performance by POYAC. After the meal a the Young Adults had an opportunity to meet with the Hierarchs for further discussions.